Losing your valuable data from the hard drive of your Mace device is quite frustrating and so much daunting is to finding up the best data recovery software to retrieve your lost data. It is more frustrating also. These tools are highly efficient and yet very useful to get back the MAC files in the data loss situation. Just like the windows or IOS based systems, there are several scenarios under that you can lose the Mac data. While you are looking for the best Mac data recovery software , your list should start with this efficient and high-end software. This software comes with two different versions, free mode and the unlimited one. With the free one, you will get 2GB free space. If you don’t have any heavy data recovering task, you can go with the option but for more convenience and space, you should go for the unlimited one. The unlimited version comes with more features and it costs $89. This version is much efficient to retrieve the data from the corrupt device and from the formatted drives of your Mac device. This is easy to create a bootable USB with it and so that you will be able to recover data when the macOS cannot boot up. Not only your hard drive but you can use it to recover data from USB storage, SSD and memory cards. This is compatible with HFS+, FAT, and APFS etc. This is one of the top-rated applications for MAC OS. It offers you to preview the recovered files. This software is equipped extra functionalities like Guaranteed Recovery or Recovery Volt, boot disk, lost partition etc. It works best on all the external and internal drives to search for your lost data. 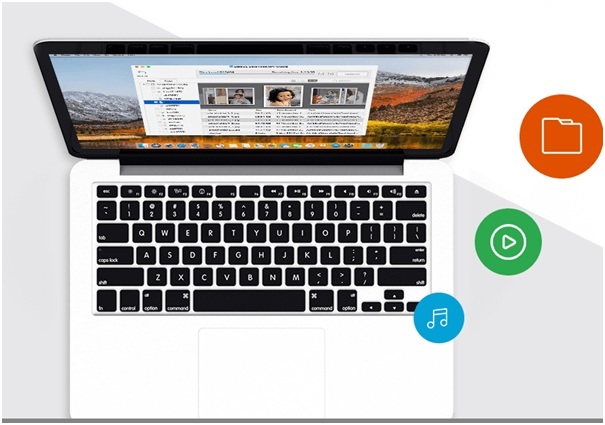 This is one of the most powerful data recovery software for Mac and it comes with the features like work as open source platform. Not only this application but the source code of the app work best for the people. This software is compatible with OSX, Net BSD, Linux, Windows, and Open BSD etc. To recover mp3 files, ZIP files, MS office files, PDF files and JPEG pictures etc, this application is enough efficient. Retrieving data from USB drive, hard disks, the memory card is possible with the app. This is a free app that comes with a file carving feature that firstly searches for cluster size or several data blocks. Preview and retrieving the deleted files from MAC devices is easier with the app. Before downloading the app you can also try out the Deleted File Finder application from Prosoft that comes free of cost. You can also go for the trial version of the software to know what you will be able to recover with it. You can use the application several times even as the work of the app is limited within five devices only. This app may allow you to clone a healthy drive, recording lost data from different internal and external drives and even from the reformatted drives. To recover multiple types of data from several drives is possible with the app. There can be the reasons like disk initialization, Trojan or virus attack, corruption of volume header, bad sector, corruption of master directory block, node corruption of the catalogue files etc. No matter what the reason is, but this high-quality, efficient software can help you a lot in retrieving the data from MAC devices.